My work with CEOs and directors in recent years revealed a common theme – the more senior the job, the lonelier it is. Use your boss as a sounding board and run the risk of appearing indecisive. Use your team as a sounding board and run the risk of being told what you want to hear. The most successful leaders and the most effective teams benefit from the impartial, confidential, strategic and pragmatic support of a critical friend. Working in partnership, face to face, over the phone, or electronically. Ever noticed that the most creative solutions occur to you away from the office? Taking time away from your usual work environment is often the first step to unlocking a problem, solving a dilemma or reaching a decision. Which is why some of my most effective coaching sessions take place out walking or over a coffee and a stunning view. As well as business coaching, the service includes most aspects of developing people and leading change. Ask about a pragmatic approach to capturing your vision and values, getting the best from performance management, developing leaders and making sustainable change. 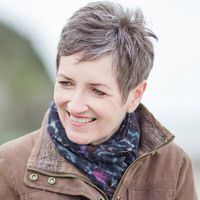 I’m Sarah Pryce and my professional background is in HR, leadership development, coaching and leading change. Those I’ve worked with describe me as warm, tenacious and pragmatic. They tell me I have a down to earth and common sense approach to developing people, unraveling problems, building relationships and managing change. What I love is working with individuals and teams to deliver practical, tangible business results. Not much fazes me. Ask the right questions and the most complex challenges can be broken down into manageable chunks. Listening is underrated. What is said, how it is said and what’s not said are all powerful clues. I’m not so much a half full as a full-to-the-brim kind of person. Change management is my slightly geekish passion; master the art of managing change well and most things are possible. Authenticity and values are a big part of what makes me tick and I’m a big believer in the power of creating the right culture for organisations to thrive. My career has taken me across a broad range of sectors including retail, technology and third sector, in organisations of all sizes from small start-ups to multi nationals. I have worked with CEOs and the most senior board members, students, volunteers and aspiring leaders of the future. I’ve been lucky enough to work for big brands such as Marks and Spencer, to lead the RNLI’s HR and Training function and to set up my own business, so I have some diverse experience to call on. I am a Chartered Fellow of CIPD, with an MSc in Strategic Personnel and Development. Volunteering is important to me; I hold a couple of voluntary Trustee roles as a Director at Cornwall Air Ambulance Trust and on the board at Community Action South West. I am also a governor at Roselyon School.